Fly540 is the low cost airline of Kenya with its base in Nairobi, Kenya. Fly540 provides air flight passenger services for domestic destinations. It also operates freight services. Book Fly540 flight ticket reservations online here. Flights schedule for Fly540 is also updated regularly. 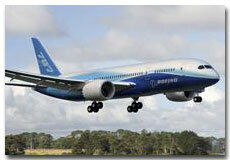 You can book cheap flight tickets at discount airfare also. Fly540 was founded in 2006. Initially it provided air flight services between Nairobi and Mombasa. It is planning to expand by operating international destinations also.